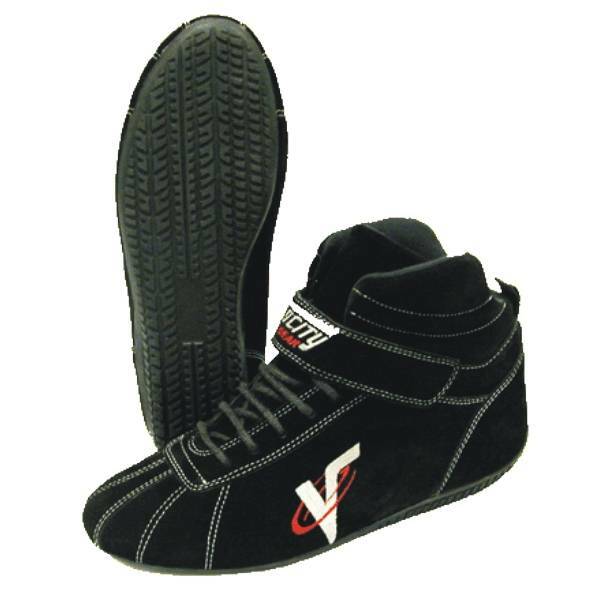 Velocity Race Gear Race Shoes are made from the highest quality materials. 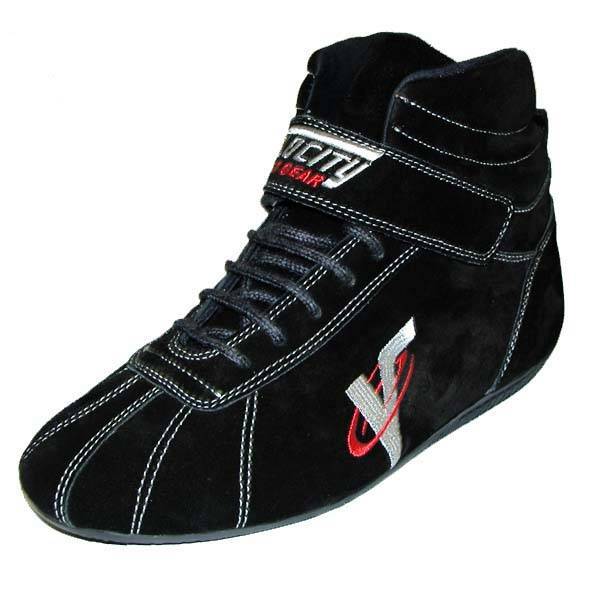 The Velocity 5 Race Shoe is designed to provide the racer with a professional looking auto racing shoe with best-in-class features at a price that offers the best value in racing. The Velocity 5 Race Shoe is built with a top quality suede leather outer with contrast stitching and molded high traction non-slip sole. 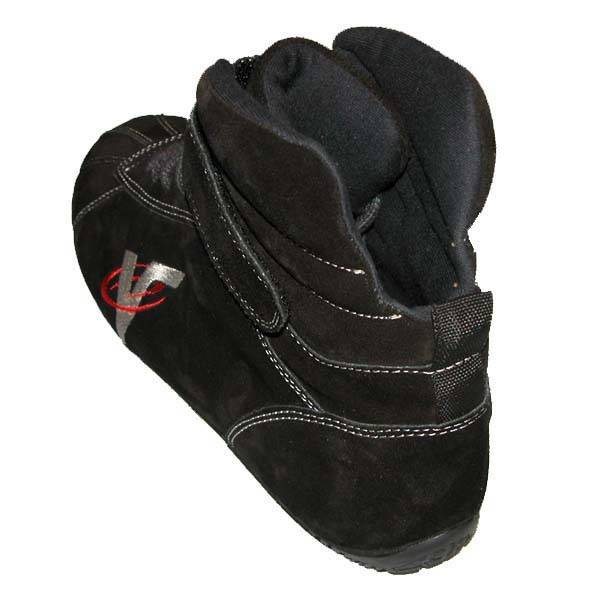 The Velocity 5 Race Shoe is lined fire-retardant FRC liner that keeps your feet cool and comfortable. The Velocity 5 Race Shoe features a low cut Achilles flex design and single closure strap for added comfort previously only available in higher priced racing shoes. Meets or exceeds SFI 3.3/5 rating. Velocity Race Gear shoes offer more features than any other shoe at a price that won?? ?t break your racing budget. Velocity Race Gear?? ?RACING TO WIN! NOTE: If your athletic shoe size varies from brand to brand by a half size or more we highly recommend that you order the larger size as Velocity Race Gear shoes are sized to very close tolerances.